I am a Doctor of Physical Therapy in constant exploration of my various interests. I am passionate about indulging in the arts and maintaining a healthy lifestyle. As of July 2016, I am working as a Travel Physical Therapist, and would love to share my experiences. I just told you I love South Florida. Yet, I left. Why? Basically, I got comfortable and lost my desire to explore. I was too comfortable at work, home, and my social life. I didn’t feel I was learning or growing. I was content – not soulfully happy. I felt a shift inside of me – a yearning for something more. After taking my life’s biggest leap and leaving my home in New York to live the Salt Life in South Florida, I knew I could do it again. My year of living in a new state for the first time and adapting to the “real world” gave me the confidence to pursue my dreams, no matter how big or small. There was no turning back on my commitment to fulfillment. Florida became too small for me, and I was ready to face new challenges. Some places leave a certain imprint on our hearts and souls. After my initial three-month internship in South Florida during my doctorate program in Physical Therapy, I knew I’d have to return to the Sunshine State. Though I ventured to the Fort Lauderdale area with no family or friends in proximity, I quickly adapted to the salt life and developed a support system and family. When I left to finish school in New York, I set my intentions to return to Florida. My entire room at my family’s house on Long Island reflected my desire to be by the sea – from my newly-constructed “Salt Life” shadow box to the nautical memorabilia imprinting my walls, it was undeniable The Universe would give me the opportunity to return. Approximately one year later, in April of 2015, the doors of opportunity opened and I made my second voyage to South Florida to embrace the Salt Life and live freely. I truly fell in love with the area, which is rooted in my experiences both at work and play. I feel a deep connection with the Sunshine State that will never be severed. In my 13 months, I not only connected more deeply to my intuition and self, but discovered new passions and built relationships with incredible people. Greetings, Fellow Dreamer! No matter how you navigated to my site, I’m happy you’re here. I started blogging about my passions in August 2015 on a page owned by Weebly. However, I eventually realized the limitations of the site, and dreamed of creating a custom site to capture my essence. There began the slow, soul-searching process of creating this site! Through infinite video tutorials, meditations, and dreams, the vision of my custom blog was born. Voila! Travel tips (accommodations, airlines, packing lists), travel itineraries, bucket list items, local finds, journeys afar, outdoor activities (i.e. camping, hiking, climbing, etc. ), travel/adventure products, and sources of inspiration. Mind-body connection, meditation, yoga, following your heart, fearless living, and ways to enjoy life’s journey. Integrating habits, living with love and gratitude, healthy eating, and conscious living. My overall mission? To inspire people to follow their hearts and live the life they’ve always imagined. In an individualistic society where independence is overvalued, I challenge our culture to create a shift: to connect and co-create. Through our connection, we can reach new levels of inspiration and personal satisfaction. While manifesting this site, my dreams have also been coming to fruition, and I’m bursting with thoughts and ideas to share with you. I’ve been feeling under the weather the last few days, filled with sleepless nights, congested sinuses, and pounding headaches. I’ve been flooding my body with: sleep, fluids (green juice 3x/day, coconut water, Alkaline water), tea (Traditional Medicinals® Echinacea Plus Elderberry), sleep, a variety of essential oils in my diffuser (Eucalyptus, Thieves, Purification, Peppermint, Lavender), sleep (did I mention this? ), and a giant pot of healthy soup (recipe by KConn). Perhaps it was too much to travel to NY for Christmas, return to Florida for 3 days, and again depart to Boston for New Year’s. My body is excellent at fighting away infection and sickness, and it seems to be working overtime this round. I know I will feel better with my healthy rituals in no time. Nonetheless, the amount of sleep I’ve embraced in the last two days has been abundant with inspiring dreams. My dreams are usually quite clear upon waking, and in the last few months, they’ve been resonating with me and providing lasting inspiration. Rather than waking and forgetting the previous night’s dreams, they have stayed with me. Over the last two days, I’ve gone on numerous adventures and reached a new level of excitement for 2016. I’m so ready for this year! (Once my body is done fighting this sickness, I’m sure I’ll be even MORE ready). Okay so. 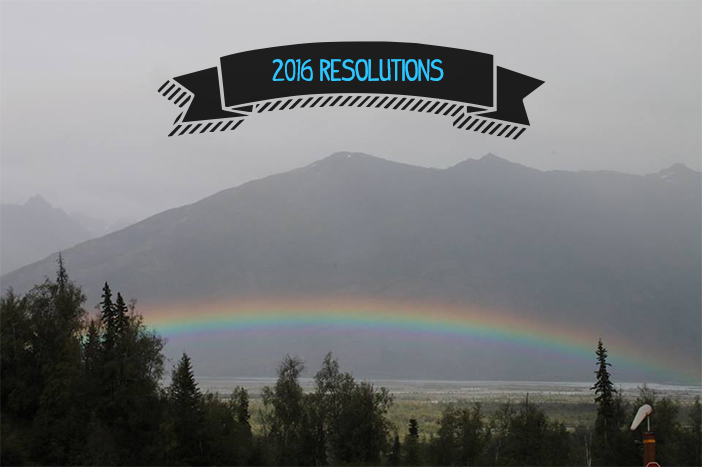 We’ve already discussed my soulful goals for 2016, but the “Infinite Possibilities Project” has inspired me to think of 2016 in an even grandeur way. In this 30-day project, Mike Dooley (creator of “TUT-The Universe Talks” and “Notes from the Universe”) inspires us to shape our year based on our deepest desire and goals. Every day, he posts videos and activities to awaken our dreams. Get post updates and inspiration hand-delivered to your inbox!